We laid out many of the financial advantages of joining the WPL. We mentioned that MTFC has never gone into exile and won its appeal in 1989 and so should be allowed direct access to the WPL albeit with the required domestic licence secured first. This debate will be fought over money, ambition and of course stability. We cannot fail again. If you don’t like the question be ready to defend your answer. The issue of a domestic licence is worth pursuing. The licence is like a MOT for a football club and can help show internal failures whether in finances, procedures or staff. It’s a useful barometer for how a club is faring off the field and how resilient an institution. The current board continues to tackle the residual issues from the most recent financial debacle and they seem to be doing a decent job of it. 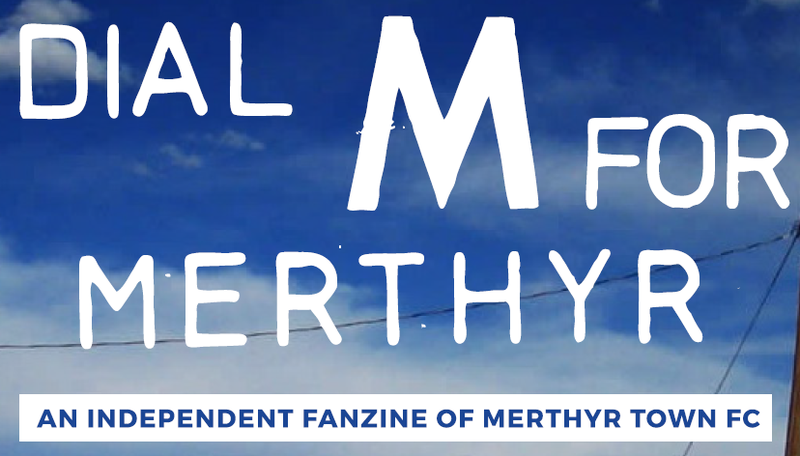 It will be an interesting milestone for the club when we reach 2019; how far has Merthyr Town travelled towards a financial security that matches the ambitions of its supporters? It’s been an eye-opener for me during the close season as many of the fanzine lads have pushed social events at the ground to raise funds to ensure that there is a budget to pay electricity bills and of course the players. The general response from Merthyr Town fans has been piss-poor with hardly any engagement at all. Spending your hard earned leisure cash at Penydarren Park just for home game, unless we gain another 500 devotees overnight, isn’t going to cut the mustard when there’s bills to be paid. So a move to the Welsh system may make financial sense if we wish to make the club sustainable but since when did supporting a football club rely on wisdom alone. So if your heart tells you that you’d rather enjoy the delights of Beaconsfield than Barry then maybe you should get off your arse and raise some funds so that the Welsh Way has no merits.